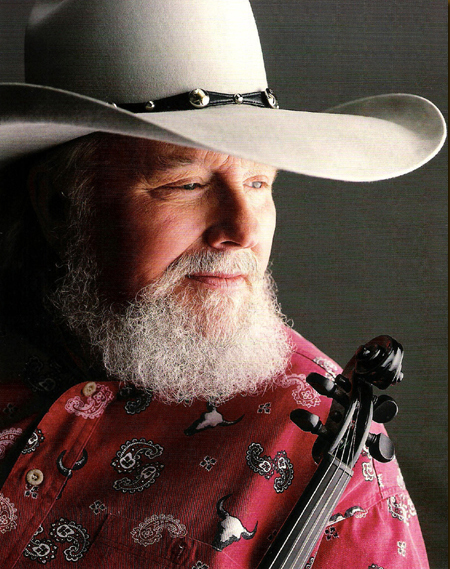 There's no better way to wrap up the 2012 concert season than to see the legendary, platinum selling, country singer/songwriter Charlie Daniels, the always exciting group Confederate Railroad, and country's newest bad boys, LoCash Cowboys, in concert. I arrived at the Dallas Bull in Tampa a little early, I just knew this would be a sold out, standing room only event. And I was right. This was no ordinary show it was Charliepalooza, the twenty second annual event to benefit The Angelus, a Hudson-based home for the severely handicapped. First out on the stage was the charismatic duo the LoCash Cowboys. They took the stage and owned it for nearly forty-five minutes, holding the attention of the everyone in the room with their dynamic high energy performance. Performing a few of their new songs "Hey, Hey, Hey", "Bounce", and one that is sure to be a favorite by all, "Best Seat In The House"; a song the band dedicates to Lucas's late father. The song is a tear jerker and I predict will be a big hit for them. With everyone singing along, and their fists pumping up in the air, the magnetic and powerful duo closed their session of the show with their newly released video and song C.O.U.N.T.R.Y. Big things are on the way for these guys, I would tell you but, I was sworn to secrecy. The LoCash Cowboys are the one's you want to watch in 2013. Next out the gate was Confederate Railroad. I was pleasantly surprised to see this band. I mean after all when I was a teenager we were all line dancing to "Queen of Memphis" and "Trashy Women". Those songs were played in every honky tonk in America. This group hasn't changed a bit in all of the years since, they were still on cue and had everybody in the venue swaying and singing along. Last, but defiantly not least, the time we all had anticipated arrived and the legendary Charlie Daniels took the stage. I have always been a fan of Daniels, but I never knew the depth of kindness this man had until tonight seeing him interact with the disabled residents from the Angelus home. Every year around this time Daniels sets up a charity event to raise money for the Angelus home in Hudson Florida. This includes a golf tournament, silent auctions and the selling of raffle tickets to win a new car. Exciting yes, but not nearly as exciting as seeing him on stage playing the fiddle and then having all the members from Confederate Railroad and LoCash join him to sing my favorite church hymm, "Amazing Grace". It was sensational and brought tears to my eyes. And then watching the fans of all ages toe tapping and dancing to his hit song, "Devil Went Down To Georgia", this was a very memorable moment and a magical night for the Angelus residents and for me. Daniel's ended the show, as he always does, by asking everyone to, "Pray for our troops, and for our country. God bless America, and good night". A good night it certainly was.